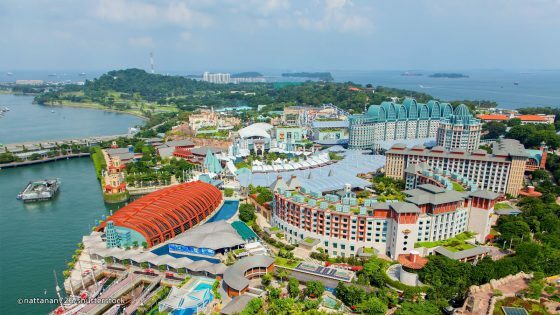 So, while the United States is finding a discreet way to pay for Kim Jung-Un’s travel and hotel stay in Singapore on Sentosa Island as North Korea is cash strapped… ah yeah sure, there are some other things going on in Singapore and Malaysia. Let’s begin a few years ago. Sit back with this article, it is long but perspective and context is required. (Reuters) – It is in Kuala Lumpur’s “Little India” neighborhood, behind an unmarked door on the second floor of a rundown building, where a military equipment company called Glocom says it has its office. Malaysia is one of the few countries in the world which had strong ties with North Korea. Their citizens can travel to each other’s countries without visas. But those ties have begun to sour after North Korean leader Kim Jong Un’s estranged half-brother was murdered at Kuala Lumpur’s international airport on Feb 13. According to the “WHOIS” database, which discloses website ownership, Glocom.com.my was registered in 2009 by an entity called International Global System using the “Little India” address. A similarly named company, International Golden Services is listed as the contact point on Glocom’s website. Glocom registered a new website, glocom-corp.com, in mid-December, this one showing no Malaysian contacts. Its most recent post is dated January, 2017 and advertises new products, including a remote control system for a precision-guided missile. Glocom is operated by the Pyongyang branch of a Singapore-based company called Pan Systems, the U.N. report says, citing an invoice and other information it obtained. Louis Low, managing director of Pan Systems in Singapore said his company used to have an office in Pyongyang from 1996 but officially ended relations with North Korea in 2010 and was no longer in control of any business there. “They use (the) Pan Systems (name) and say it’s a foreign company, but they operate everything by themselves,” Low told Reuters referring to the North Koreans at the Pyongyang office. Pan Systems Pyongyang utilized bank accounts, front companies and agents mostly based in China and Malaysia to buy components and sell completed radio systems, the U.N. report says. Pan Systems Pyongyang could not be reached for comment. One of the directors of Pan Systems Pyongyang is Ryang Su Nyo. According to a source with direct knowledge of her background, Ryang reports to “Liaison Office 519”, a department in the Reconnaissance General Bureau. Ryang is also listed as a shareholder of International Global System, the company that registered Glocom’s website. Reuters has not been able to contact Ryang. Ryang frequently traveled to Singapore and Malaysia to meet with Pan Systems representatives, the U.N. report says. On one such trip in February 2014, she and two other North Koreans were detained in Malaysia for attempting to smuggle $450,000 through customs at Kuala Lumpur’s budget airport terminal, two sources with direct knowledge of the situation told Reuters. The North Korean trio told Malaysian authorities they all worked for Pan Systems and the cash belonged to the North Korean embassy in Kuala Lumpur, according to the two sources. The Malaysian Attorney General decided not to press charges because of insufficient evidence. A week later, the trio was allowed to travel, and the North Korean embassy claimed the cash, the sources said. All three had passports assigned to government officials, the sources said. Malaysia’s Customs Department and the Attorney General’s office did not respond to requests for comment over the weekend. The Pan Systems representative in Kuala Lumpur is a North Korean by the name of Kim Chang Hyok, the U.N. report says. Kim, who also goes by James Kim, was a founding director of International Golden Services, the company listed in the contacts section of the Glocom website. Kim is director and shareholder of four other companies in Malaysia operating in the fields of IT and trade, according to the Malaysian company registry. He did not respond to requests for comment by mail or email. The United Nations panel, which prepared the draft report, asked the Malaysian government if it would expel Kim and freeze the assets of International Golden Services and International Global System to comply with U.N. sanctions. The U.N. did not say when it made the request. “The panel has yet to receive an answer,” the report said. Reuters has not received a response from the Malaysian government to repeated requests for comment about Glocom. As secretary of the UMNO youth wing’s international affairs bureau, Mustapha fostered political connections in the 1990s with countries, such as Iran, Libya and North Korea. 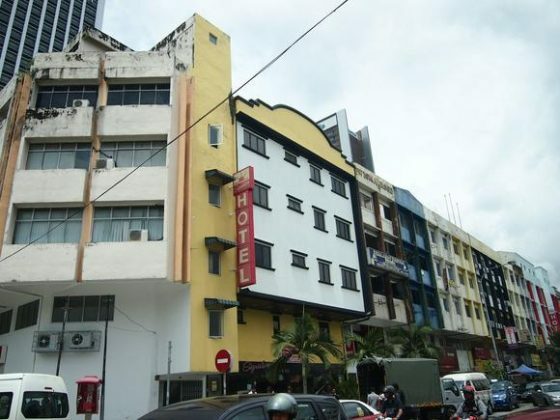 Glocom’s Little India address once housed a company owned by UMNO Youth. Mustapha, 67, said he had been a Glocom business partner “many years back” and said it has been continuously controlled by several North Koreans, including Kim Chang Hyok, whom he said he knew. He did not divulge his role in the company, and denied any knowledge of Glocom’s current business. “We thought at the time it might be a good idea to go into business together,” Mustapha told Reuters about his first meeting with his North Korean business contacts. He did not say who those contacts were or what they discussed. He denied any knowledge of Glocom’s current business. Glocom advertises and exhibits its wares without disclosing its North Korean connections. “Anywhere, Anytime in Battlefield,” reads the slogan on one of several 2017 Glocom catalogs obtained by Reuters. An advertisement in the September 2012 edition of the Asian Military Review said Glocom develops radios and equipment for “military and paramilitary organizations”. A spokesman for the magazine confirmed the ad had been bought by Glocom, but said the magazine was unaware of its alleged links to North Korea. Glocom has exhibited at least three times since 2006 at Malaysia’s biennial arms show, Defence Services Asia (DSA), according to Glocom’s website. At DSA 2016, Glocom paid 2,000 ringgit ($450) to share a table in the booth of Malaysia’s Integrated Securities Corporation, its director Hassan Masri told Reuters by email. Hassan said he had nothing to do with Glocom’s equipment and was unaware of its alleged links to North Korea. Aside from the North Koreans behind Glocom, clues on its website also point to its North Korean origins. For instance, one undated photo shows a factory worker testing a Glocom radio system. A plaque nearby shows the machine he is using has won a uniquely North Korean award: The Model Machine No. 26 Prize,” named in honor of late leader Kim Jong Il, who is said to have efficiently operated “Lathe No. 26” at the Pyongyang Textile Factory when he was a student. In April 2018, Recorded Future published research on the internet browsing behavior of North Korea’s most senior leaders and revealed stark changes in how North Korea’s ruling elite utilize the internet from our original analysis in July 2017. Utilizing a data set spanning from December to mid-April, we compiled a significant amount of information on North Korea’s technology architecture, including which types, manufacturers, and models of hardware and software North Korean leaders used to access the internet. Our analysis reveals the overwhelming presence of American hardware and software on North Korean networks and in daily use by senior North Korean leaders. We also examined the broad legal regime that restricts U.S. trade with North Korea and discovered that it is insufficient to prevent U.S. electronics, hardware, and software from reaching North Korea. This failure to keep American technology from reaching North Korea has enabled North Korea’s destabilizing, disruptive, and destructive cyber operations as well as its internet-enabled circumvention of international sanctions. International inconsistency in the definition of the term “luxury goods” has also facilitated the Kim regime’s acquisition of American technology. For seven years, between 2002 and 2017, the United States allowed the exportation of “computer and electronic products” to North Korea, totaling more than $430,000. Our analysis demonstrates that many of the electronic devices North Korean elite utilize are older models or are running older software, and that at least some of those devices could have been legally acquired from the U.S. during these seven years. All U.S. exporters are liable for any violation of the sanctions regime, but beyond the implementation of a robust compliance program, there’s relatively little that can be done to actually stop prohibited goods from reaching sanctioned countries. This is especially true for North Korea, as they have proven to be sophisticated at utilizing intermediaries or spoofing identities. Since the split of North and South Korea following World War II, the United States has regarded the Democratic People’s Republic of Korea (DPRK or North Korea) as an adversary. Despite the lack of open hostilities for nearly 65 years, the U.S. has never normalized diplomatic relations with the “Hermit Kingdom.” From the 1950s to 1980s, North Korea’s status as a Communist government, and sponsorship of international terrorism, ensured that the two countries remained enemies. Then, in 1988, after the bombing of Korean Air Flight 858, North Korea was officially designated as a state sponsor of terrorism by the Reagan administration, inaugurating the modern export control regime against North Korea. Separately, export control as a response to North Korea’s nuclear proliferation efforts dates back to 1992 when the U.S. imposed sanctions on two North Korean companies due to their missile proliferation activities. Between June 1992 and June 2000, some restrictions were lifted as a result of the U.S.-North Korea bilateral missile talks, but the respite was short lived and the U.S. ratcheted up sanctions from January 2001 through to 2006. This period included the notorious labeling of North Korea as part of the “Axis of Evil” in President Bush’s 2002 State of the Union Address. In 2006, the first widespread international sanctions began after North Korea carried out its initial nuclear weapons test. This test prompted the UN Security Council (UNSC) to pass two resolutions imposing sanctions on North Korea — first Resolution 1695, and then Resolution 1718. These resolutions together banned a broad range of both imports and exports to North Korea by any UN member states. While these resolutions initially focused on military materiel, they were supplemented by broader sanctions from the U.S., Australia, and Japan. After North Korea conducted its second underground nuclear test in May 2009, the UNSC adopted Resolution 1874, which further expanded the arms embargo and sought to target Pyongyang’s financial apparata. From 2009 to the present day, both the U.S. and UNSC have progressively strengthened and expanded earlier sanctions with Resolution 2087, 2094, 2270, 2371, 2375, and 2397, which covered everything from missile materiel to textiles and caps on oil trading. Despite a perceived thaw in diplomatic relations beginning earlier this year, U.S. officials have re-emphasized numerous times that “all sanctions and maximum pressure must remain,” while denuclearization of the Korean peninsula is negotiated. Sanctions that specifically target North Korea. Until 2008, the bulk of U.S. sanctions specific to North Korea were implemented via the Trading With the Enemy Act (1917), which empowers the federal government to prohibit any and all trade with designated countries. On June 26, 2008, the Bush administration issued Executive Order (E.O.) 13466 under the authority of the International Emergency Economic Powers Act. That same year, the National Emergencies Act. E.O. 13466 was supplemented by Executive Orders 13551, 13570, 13687, 13722, and the North Korea Sanctions Regulations (31 C.F.R. part 510). These measures extended a variety of trade restrictions and blocking of interests belonging to various figures in North Korea. Pre-dating these sanctions, E.O. 13382 was issued in 2005 targeting various entities engaged in WMD proliferation. Three North Korean entities and numerous North Korean persons were listed as blocked entities. Blocked property belonging to the state of North Korea and certain North Korean nationals (E.O. 13466, 13551, 13687, 13722, and 13382). U.S. persons are prohibited from registering vessels in North Korea, flying the DPRK flag, or operating any vessel flagged by North Korea (E.O. 13466). Goods, services, and technology from North Korea may not be imported into the U.S. (E.O. 13570). No new investment in North Korea by U.S. persons is allowed (E.O. 13722). No financing by a U.S. person involving North Korea is allowed (E.O. 13722). And most importantly for our purposes, goods, services, and technology may not be exported to North Korea from the U.S., or by a U.S. person wherever located, without a license (E.O. 13722). U.S. export enforcement responsibility falls under three executive branch agencies: the Office of Foreign Asset Control within the Department of Treasury, the Office of Export Enforcement within the Department of Commerce’s Bureau of Industry and Security, and Homeland Security Investigations within the Department of Homeland Security. These three agencies enforce the Executive Orders, U.S. sanctions, International Trafficking in Arms Regulation, Export Administration Regulation, and other laws which make up the body of export control laws in the United States. In 2010, Executive Order 13558 created the Export Enforcement Coordination Center to further strengthen the partnership between these independent agencies. The United States is one of the only countries which enforces its export laws outside of its national boundaries. Federal agents located in foreign countries work in conjunction with local authorities to conduct end use license checks, knocking on doors to see whether the parties are still upholding their stated exporting intentions. Currently, civil penalties of up to the greater of $284,582, or twice the amount of the transaction, can be imposed against any party that violates these sanctions. Similarly, upon conviction, criminal penalties of up to $1 million, imprisonment for up to 20 years, or both, may be imposed on any person that willfully violates the sanctions. Numerous third-party data sources used for this analysis gave Recorded Future visibility into what types of devices North Korea’s most senior leadership use to access the global internet. As has been widely publicized over the past several years, Kim Jong Un has been photographed on several occasions with Apple devices, and North Korean-made mobile phones have been assessed as mimicking Apple technology. While we cannot confirm the actual users behind the activity we see, our analysis indicates that numerous American and Western-manufactured devices are being used by North Korean elite to access the global internet. Several reports and accounts have documented how few North Koreans are granted access to the global internet. At most, only the inner circle of North Korea’s leadership, such as party, military, and intelligence leaders and their families, are allowed to own computers and independently utilize the global internet. This is one of the data points we use to determine with such certainty that North Korea’s ruling elite are the users of this hardware and software. While the majority of North Korean cyber operations are likely conducted from abroad, a small minority historically have been conducted from territorial North Korea. These operations have been conducted utilizing this very same hardware and software. This means that minimally, U.S. technology has enabled North Korea’s destabilizing, disruptive, and destructive cyber operations as well as its internet-enabled circumvention of international sanctions. According to a Congressional Research Service study conducted in 2016, U.S. trade restrictions with North Korea are extensive, but do not amount to a comprehensive embargo. The United States curtails trade with North Korea for reasons of regional stability, that country’s support for acts of international terrorism, lack of cooperation with U.S. antiterrorism efforts, proliferation, and its status as a Communist country and a nonmarket economy. The United States also prohibits transactions relating to trade with certain North Korean entities identified as those who procure luxury goods, launder money, smuggle bulk cash, engage in counterfeiting goods and currency, and traffic in illicit narcotics. This is despite the fact that North Korea has been on and off the State Sponsors of Terrorism list twice in the last 10 years (President Bush rescinded the declaration in 2008 and President Trump re-applied it in November 2017). In terms of exportation of technology to North Korea, the State Sponsors of Terrorism designation has relatively little impact in and of itself because the sanctions resulting from that designation govern primarily U.S. foreign aid, defense exports, and dual-use items. There is a provision for sanctions on “miscellaneous financial and other restrictions,” however, it is not clear whether that provision goes above and beyond the existing prohibitions on technology exports to North Korea. Most electronics, including laptop computers, digital music players, large flat-screen televisions, and “electronic entertainment software” are considered “luxury goods” and fall under the broad trade Export Administration Restrictions (EAR) for North Korea administered by the Department of Commerce. South Korea broadly restricts and governs trade with the North including “electronic goods” as a luxury item. China has not made a distinction on embargoed luxury goods and does not “honor the luxury goods lists of other countries when it exports to” North Korea. In March 2016, Zhongxing Telecommunications Equipment (ZTE), a Chinese cellular device and hardware manufacturer, was added to the Export Administration Regulations (EAR) Entities List. The EAR “imposes additional licensing requirements on and limits the availability of most license exceptions for, exports, reexports, and transfers (in-country) to those listed” on the Entities List. ZTE was initially placed on the Entities List for violating U.S. sanctions by selling American-made goods to Iran and North Korea. Placement on the Entities List prohibited U.S. companies from selling goods to ZTE without a license, and because nearly all ZTE-manufactured products contained U.S. goods, essentially crippled the company. For more than two years, ZTE and the U.S. government went back and forth attempting to reach an agreement over penalties and validate that ZTE was no longer violating U.S. sanctions. In April 2018, the Department of Commerce (DOC) ended the negotiations by imposing a denial order, prohibiting American companies from selling to ZTE for seven years. The denial order was the end of a lengthy export control enforcement process which would have bankrupted ZTE. Instead, in late May, the DOC negotiated an agreement which lifted the denial order and re-opened ZTE to U.S. exports. The case of ZTE, a company which was placed on the Entities List and under a denial order for violating U.S. sanctions against North Korea, is a useful example of how impactful successful export control can be — if allowed to be. Had ZTE been allowed to fail, it would have sent a powerful message to companies around the world indicating how seriously the U.S. considers these violations. Instead, the message is that a company can violate U.S export controls and sanctions if it is large enough and aligned with an economically powerful nation. The question of how U.S. technology gets to North Korea is not entirely a story of failed export control or inconsistent application. According to Department of Commerce data, the U.S. has actually exported over $176 million of goods to North Korea since 2002. While this number pales in comparison to export volume with nations such as China or Canada, it is important to note that the export of “computers and electronic products” to North Korea occurred until this year. At its peak in 2014, the U.S. exported $215,862 worth of computers and electronic products to North Korea. We do not know exactly which products or how many were exported to North Korea that year. However, based on the Department of Commerce definition of “computers and electronic products,” we have an idea of what kind of electronics these exports might have included. This category includes “computers, computer peripherals (including items like printers, monitors, and storage devices), communications equipment (such as wired and wireless telephones), and similar electronic products (including audio and video equipment and semiconductors),” as well as components for these products. Again, while we do not know exactly which computer and electronic products were exported to North Korea over the past 15 years, that data can be useful in an exercise to demonstrate exactly how much value North Korea could have derived from that amount of money. For example, in 2014, a decent desktop could cost around $500, while a similarly specified laptop would cost $700. Hypothetically, if North Koreans were paying the average prices for computers, they could have purchased over 350 computers from U.S. suppliers in 2014 alone. In total, since 2002, the U.S. has legally exported $483,543 worth of computers and electronics to North Korea — a sum that could have legally supplied some of the ruling elites’ electronics needs. Our analysis demonstrates that many of the electronic devices North Korean elite utilize are older models or are running older software. These legal exports certainly do not account for all of the devices we have observed on North Korean networks, nor is $483,543 sufficient to completely build a moderately sized and proxied network. However, it presents an interesting part of the answer to the question of exactly how North Korea could have acquired all of their Western hardware and software. At least some of the computers and software we observed being used in North Korean networks today was probably acquired during these past 15 years. Generally, all U.S. business are not expected to perfect all eight elements, but any deviation from a robust compliance program poses a risk that an entity could be found in violation of the U.S. export regime. However, while a U.S. company may have a robust program, sanctioned states often use false flags or non-national facilitators to skirt even the most advanced programs. As a recent report from Arms Control Wonk and Reuters pointed out, the North Koreans are adept at falsifying addresses and names to circumvent sanctions programs. This flow of technology is not one way, either — recent reports point out that North Korea has used shell companies and various aliases to export various technologies, including facial recognition software to U.S. allies and encryption software in Asia. One transaction involving the DPRK shell company Glocom that was widely reported last year demonstrates the ease with which North Korea is able to avoid technology control sanctions. Glocom used a network of Asian-based front companies to purchase components from electronic resellers, and the payment was even cleared through a U.S. bank account. Glocom, the company at the center of these transactions, was tied to Pan Systems Pyongyang via invoices uncovered by the UN and International Global System via WHOIS website registration data. Ryang Su Nyo is listed as a director of Pan Systems Pyongyang and a shareholder of International Global System, and Reuters has reported that Ryang reports to “Liaison Office 519,” a department within the North Korean Reconnaissance General Bureau. Today, the varied interpretation of the term “luxury goods,” a sophisticated sanctions evasion operation, and lax enforcement of technology and electronics as a subcategory has created a situation where the Kim regime can acquire U.S. electronics, software, and hardware virtually at will. Technology resellers, North Koreans abroad, and the Kim regime’s extensive criminal networks all facilitate the transfer of American technology for daily use by one of the world’s most repressive governments. Unless there’s a globally unified effort to impose comprehensive sanctions on the DPRK, and multilateral cooperation to ensure that these sanctions cannot be thwarted by a web of shell companies, North Korea will be able to continue its cyberwarfare operations unabated with the aid of Western technology.